If you’re looking to try something new when it comes to losing weight, consider looking at meal replacement shakes. Meal replacement shakes have come to a long way in recent years. They are designed to provide the nutrients that your body needs but won’t leave you hungry and prone to overeating. Meal replacement shakes can be a great match for any weight-loss plan that you may already have in place. Here are a few high points and notes to consider when it comes to finding the best meal replacement shakes for weight loss. Meal replacement shakes are packed with calories and nutrients that are designed to serve as a substitute if you are prone to missing entire meals. They’re a quick option for people who are on the go but want to grab something healthy, yet filling, and avoid the drive-thru lane entirely. It may seem obvious, but you’ll want to make sure that you’re paying close attention to everything on the ingredient list of any meal replacement shakes that you’re considering. Not all shakes are all that healthy, and each and every ingredient matters, and that’s exactly why we put together this list for you. Protein fills your body quickly and is a key component of the best meal replacement shakes, meaning that you’ll have fewer hunger issues if your protein intake is higher. And if you work out often, protein goes a long way towards rebuilding your muscles and keeping them healthy and strong while living an active lifestyle. Calories are a major player in dictating your energy level, so you’ll need to be sure that any meal replacement shake that you settle on has enough calories to do that, but without going overboard. You can always supplement a meal replacement shake with nuts or fruit if needed, so try and find a happy medium when it comes to calories. The products you’ll find in this space are gender-neutral; the best meal replacement shakes for men tend to also be the best meal replacement shakes for women. Okay, let’s get into it. Without further ado, the best weight loss meal replacement shakes. 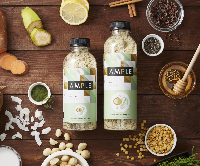 Ample Meal is 54 percent premium, healthy fats and includes 27 percent protein. You’ll find the right amount of fiber, organic greens, and six different strains of probiotics in there, too. The Garden of Life shake is non-GMO and completely gluten-free, kosher, and vegan while remaining soy-free and dairy-free. According to Huel, 37 percent of the energy in their product comes from carbohydrates, with about 30 percent each coming from fat and proteins. MET-Rx’s Meal Replacement has 25 essential vitamins and minerals, including 90 percent of your daily calcium needs. It’s a shake that will be compatible with your paleo or keto diets and includes just three grams of sugar, four grams of fiber, and 130 calories. 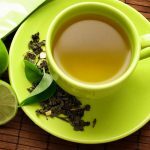 The blend includes 12 non-GMO fruits and vegetables and 16 essential vitamins and minerals, including calcium and vitamin B.
Soylent is also dairy-free and gluten-free and contains L-Theanine, an amino acid found in green tea that counteracts any jittery effects you may experience from caffeine. Their product includes a crazy 40 grams of protein per serving, which again will support muscle growth and recovery while also boosting your metabolism. The 310 product is completely sugar-free as well as gluten-free and soy-free and does not include any artificial sweeteners or flavorings. There are 16 grams of plant-based protein included while the product remains vegan, dairy-free, gluten-free, soy-free, and corn-free, greatly reducing allergy concerns. Right off the bat, we see just how important the makeup of ingredients is in the No. 1 pick on our list of meal replacement shakes. Ample Meal’s ingredients are 100 percent natural, non-GMO and completely free of BPA, artificial sweeteners and flavors, gluten, and soy. Everything is organic, and you don’t need to worry about where the ingredients in your supposedly healthy shake came from, as you might with some options out there. 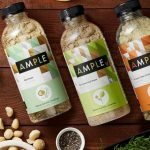 Ample Meal is 54 percent premium, healthy fats and includes 27 percent protein. You’ll find the right amount of fiber, organic greens, and six different strains of probiotics in there, too. And after all that, there are still only four grams of sugar included while the shake still sits at 400 calories. The cherry on top is that the shake tastes great, too. It’s a creamy, frothy blend with a hint of sweetness and a taste of vanilla and cinnamon. This product comes as a dry powder that is already portioned out, and you only need to add cold milk or water to make this shake come to life, and it may just be the best-tasting meal replacement shake on the market. It isn’t every day that you’ll find the best of all worlds when it comes to the best meal replacement shakes, but here we are. Ample Meal might be the easy — and correct — answer. 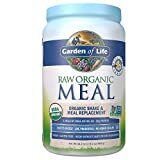 Garden of Life’s meal replacement offering is completely raw and organic and is focused on post-workout recovery, helping to build lean muscle as well as boost your energy. This is one of the best organic meal replacement shakes on the market, as it includes 20 grams of clean, organic plant protein and 44 superfoods. 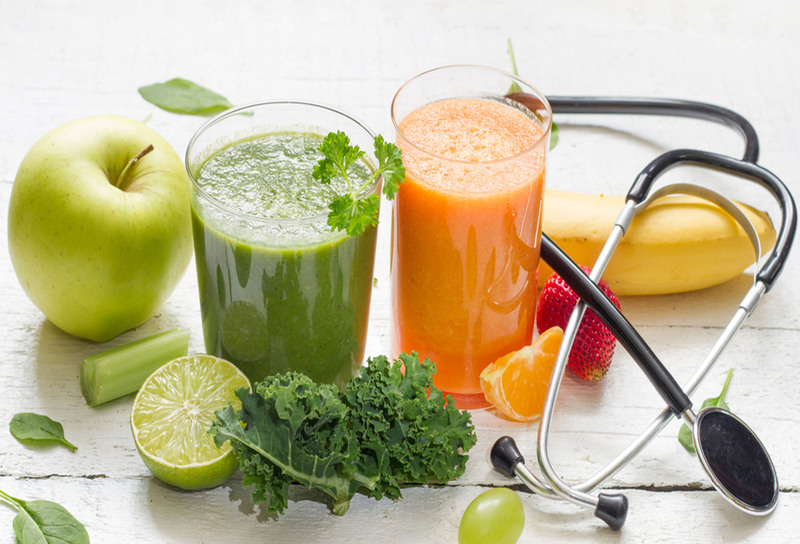 The superfoods include organic grass juices and fruits and veggies to make sure to check all the boxes, contributing 21 vitamins and minerals to this product. The Garden of Life shake is non-GMO and completely gluten-free, kosher, and vegan while remaining soy-free and dairy-free. Also included are six grams of fiber and plenty of probiotics and enzymes that contribute to easy digestion, and there are four flavors to choose from. The only downside is that there are only 115 calories per serving — easily the lowest of any review we conducted. 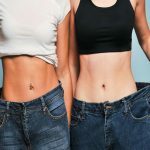 That said, it will be hard to find such a wide-ranging blend of beneficial nutrients elsewhere when you’re perusing the best meal replacement shake reviews. Garden of Life is where it’s at. Huel is a meal powder that is made completely from real food and is 100 percent vegan. The powder is a blend of pea and rice protein, flaxseed, coconut, sunflower seeds, and oats. The drink that you’ll enjoy once you’ve mixed the powder with cold water is high in protein and fiber while staying low in sugar. According to Huel, 37 percent of the energy in their product comes from carbohydrates, with about 30 percent each coming from fat and proteins. Also, there is about eight grams of fiber per 100g of the powder. If you purchase the Huel Starter Kit, you’ll get two large pouches of nutritionally complete, 100 percent vegan powdered meal, plus the scoop, shaker, and booklet that will tell you everything you need to know about the product. Huel is fairly self-contained and easy to prep, and for that reason is a solid choice when it comes to meal replacement drinks. If you want to make sure that you grab a completely balanced meal replacement product than MET-Rx is a solid solution. MET-Rx’s Meal Replacement has 25 essential vitamins and minerals, including 90 percent of your daily calcium needs. Most mind-blowing is the whopping 36 grams (!) of protein included in each serving, helping you make sure you stay full and that your muscles are working efficiently and effectively. Also included are three grams of L-Glutamine and more than six grams of branched-chain amino acids derived from the massive amounts of protein. This particular product is awesome when it comes to exercise recovery; between the protein and amino acids, your body will be fueled and ready to go and will refuel quickly after your workout. It also has 250 calories per serving, further contributing to a feeling of fullness and a clear boost in energy. MET-Rx also has a rich chocolate flavor, all while remaining low-fat and aspartame free. While gluten-free, there are no claims about the exclusion of any other common allergens. Iconic offers the first all-natural grass-fed product that we’ve seen thus far on the list. That’s right, each bottle of Iconic Grass-Fed Protein includes 20 grams of premium protein that comes from grass-fed cows in New Zealand. It’s a shake that will be compatible with your paleo or keto diets and includes just three grams of sugar, four grams of fiber, and 130 calories. Aside from simply being clean and natural, the benefits to grass-fed protein in this shake extend from being lactose-free to offering a complete amino acid profile with easy digestibility and electrolytes, including potassium, calcium, phosphorus, and magnesium. All of these electrolytes contribute massively to post-workout recovery. All of Iconic’s products are, of course, non-GMO and are lactose-free, gluten-free, and soy-free without including any artificial ingredients or sweeteners and never being exposed to pesticides of any kind. There are five flavors available: Vanilla Bean, Cafe Au Lait, Chocolate Truffle, Coconut Matcha, and Golden Milk. The only true downside to Iconic Grass-Fed Protein is the lack of calories. If you want to treat this product as a true meal replacement, you’ll be hard-pressed to stay full on just 130 calories. But that said, if you pair Iconic’s shake with a light helping of fruit or nuts, you should be in business. RSP TrueFit is a completely real food meal replacement that is formulated with the best superfood ingredients. The blend includes 12 non-GMO fruits and vegetables and 16 essential vitamins and minerals, including calcium and vitamin B. Plus, there are five grams of essential branched-chain amino acids (BCAAs) and 25 grams of whey protein in each serving. A bonus for RSP True Fit is the high level or probiotics and enzymes included, which promotes improved gut health and much easier digestion. There are eight grams of fiber included, mostly derived from sweet potato powder and the low-glycemic carb VitaFiber. This product is gluten-free and contains no added sugars or preservatives, including maltodextrin, and there have been no artificial colors or flavors added, either. This is a great blend of proteins, fiber, essential amino acids, healthy fats, and fruits and veggies. 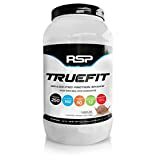 RSP True Fit is an excellent match for a post-workout shake or as a meal replacement, although the 160 calories suggest that you may want to supplement your supplement with a healthy side item. Soylent’s meal replacement drink is more of a cafe mocha than a shake, coming in four flavors: Cafe Chai, Cafe Coffiest, Cafe Vanilla, and Cafe Variety. This product includes 400 calories and 20 grams of protein, so you shouldn’t have any problems filling up. And if you’re looking for the best vegan meal replacement shake, this drink is entirely plant-based and vegan-friendly and includes soy protein isolate, slow-burning carbs from beets, and only the most essential vitamins and minerals. 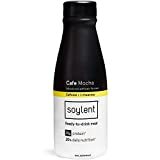 Soylent is also dairy-free and gluten-free and contains L-Theanine, an amino acid found in green tea that counteracts any jittery effects you may experience from caffeine. Which is important, because Soylent includes 150mg of caffeine, or about what you might get from a strong cup of coffee. But because of the flavor and levels of caffeine, combined with the zero prep required — that’s right, this is a grab-and-go situation — Soylent’s meal replacement drink is perfect for a quick breakfast between the gym and the office. Labrada offers a quick, easy, on-the-go protein shake as a meal replacement option. Their product includes a crazy 40 grams of protein per serving, which again will support muscle growth and recovery while also boosting your metabolism. There are 22 vitamins, and minerals included that add to the fortification offered by Labrada, and assist in the stabilizing of blood sugar and curbing of food cravings. Plus, the shake is gluten-free, sugar-free, and lactose-free, eliminating many of the most common allergens. One of the unique things that stands out about Labrada is that they have been performing third-party, independent lab testing on all of their products for more than 20 years, so you know that what you’re getting is exactly what it says on the label. 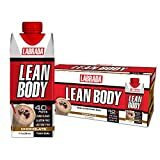 You can purchase Labrada in eight different flavors, including Bananas & Cream, Cafe Mocha, Chocolate, Cinnamon Bun, and more. 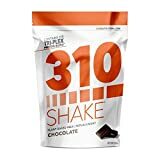 Meal replacement shakes from 310 include plenty of powerful Tri-Plex proteins that help control hunger, achieving one of the main goals of all meal replacement products: make sure that you aren’t hungry. The 310 product is completely sugar-free as well as gluten-free and soy-free and does not include any artificial sweeteners or flavorings. There are 15 g of the Tri-Plex proteins, including brown rice, pea, and hemp protein that contribute to lean muscle development. The shakes also include plenty of probiotics, which is never a given with meal replacement products, as well as up to 20 vitamins and minerals to contribute to the overall benefit of the product. It is also high in fiber and will help provide a natural energy boost. There are only 90 calories in each serving of the 310 shakes, however, which won’t necessarily go a long way if you want to make sure that you are completely full after enjoying this product. All that said, this is certainly one of the best meal replacement protein shakes for weight loss. Kate Farms’ Komplete Meal Replacement Shake includes organic plant protein geared towards accomplishing several goals. This includes maintaining and repairing lean muscle, as well as encouraging cell growth. There are 16 grams of plant-based protein included while the product remains vegan, dairy-free, gluten-free, soy-free, and corn-free, greatly reducing allergy concerns. Additionally, Kate Farms’ Komplete has a low glycemic index, which forces your body to digest the product slower, allowing for a better rate of nutrient absorption. Komplete includes 24 vitamins and minerals, which add up to 35 percent of the daily recommended value of those compounds. As a bonus, there are antioxidants from 29 superfoods included, too. Each shake has 290 calories, placing it solidly in the middle of meal replacement shakes when it comes to the number of calories included. The fiber and fat balance is solidly middle-of-the-road as well. 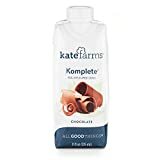 Kate Farms’ Komplete is available in vanilla, coffee, or chocolate, and includes all-natural flavoring with no chemical additives or artificial sweeteners. Let’s put a bow on this rundown by looking at some of the common themes found throughout this list of products. While there is certainly a wide calorie range, the best products generally had the higher caloric intake. Remember, you need to make sure that you’re getting enough in the way of calories to compensate for a full meal that is being eliminated from your daily routine. Just 160 calories won’t cut it by itself, so if you go with a lower-calorie option than you’ll need to make sure that you’re adding some fruit and veggies on the side. The other key thing to pay attention to is the amount of protein per serving. 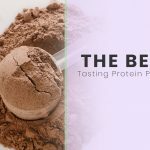 While you’ll generally find much more protein in meal replacement shakes than in bars, there are definitely some options that aren’t as high in protein as we’d like. 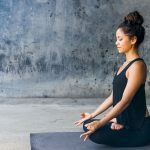 There are plenty of ancillary benefits included in most of the above-listed products, from probiotics to improve gut health, to antioxidants, to a variety of vitamins and minerals. 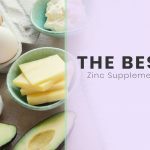 While not necessarily central to the goals of meal replacement shakes, some of these bonus components could be nice tiebreakers as you make your purchasing decision. 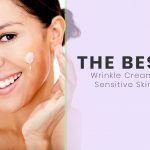 You’ll also want to be sure to note which of these products are shelf-stable and can easily be thrown into a gym bag or purse, versus how many come in larger containers and need to be portioned out and mixed with water or milk. It comes down to personal preference and convenience; make sure you aren’t surprised when your purchase shows up at your door. If you’re sold on losing weight and adding muscle to your frame, then consider trading in a meal or two each week with one of the meal replacement shakes on this list. It’s a viable option and can be a healthy choice if you go about it the right way — and by that, we mean to consult with your doctor before you do anything crazy. The general recommendation in the medical community is that you don’t cut more than one meal a day, or more than a small handful in a week. After all, you need to be absolutely sure that you’re getting enough calories -- especially if you’re going hard in your workouts. At the end of the day, make sure you’re getting enough calories and proteins in the meal replacement shake that you select, and pay attention to some of the extra potential benefits you might be able to find as well. And there you have it. The best meal replacement shakes for weight loss. Enjoy!